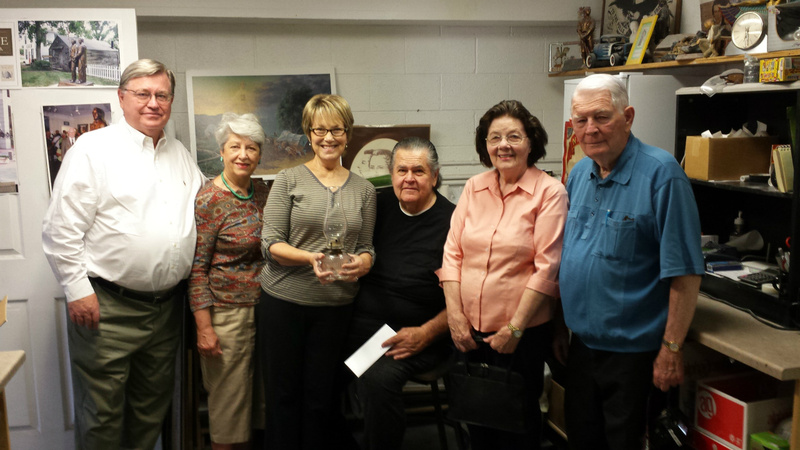 This is, from viewers left to right, Gordon and Kathryn Knight, Pat and Steve Glenn and Nancy and Darrell Knight. This shows the Knights presenting a gift to Colesville Restoration Inc., an antique coal oil lamp, dating back to the circa 1830. 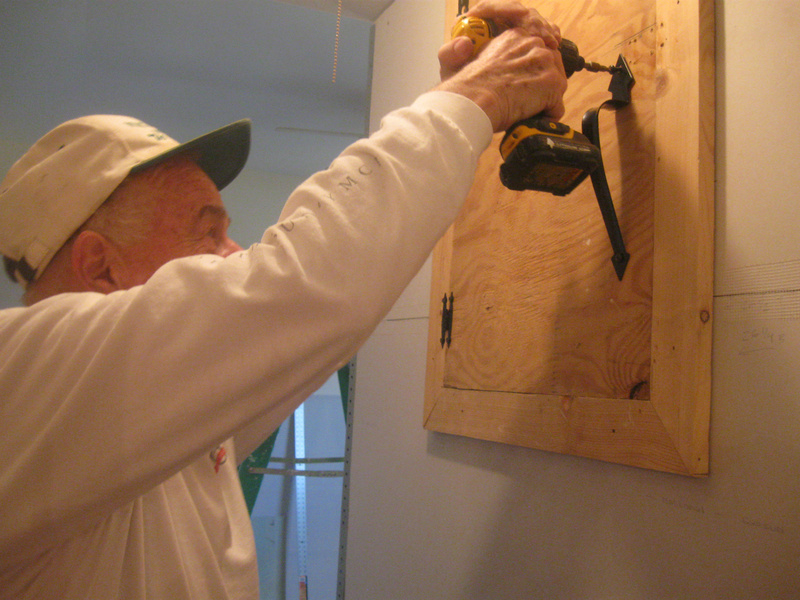 The lamp is currently on display in the restored Joseph Knight Sr. farmhouse in Colesville, NY. 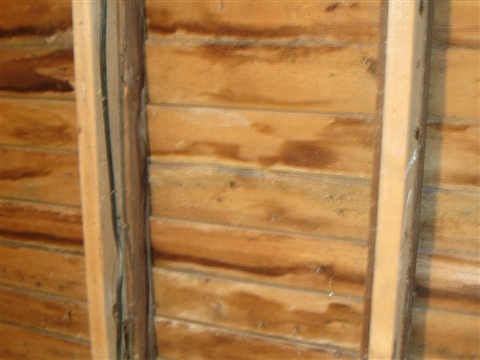 This photo shows the inside of the exterior clapboard siding that enclosed the original home. 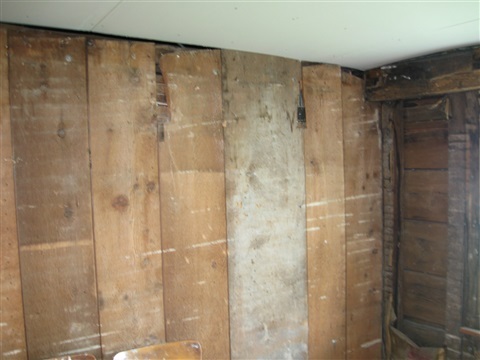 It since has been covered with vinyl clapboard siding. 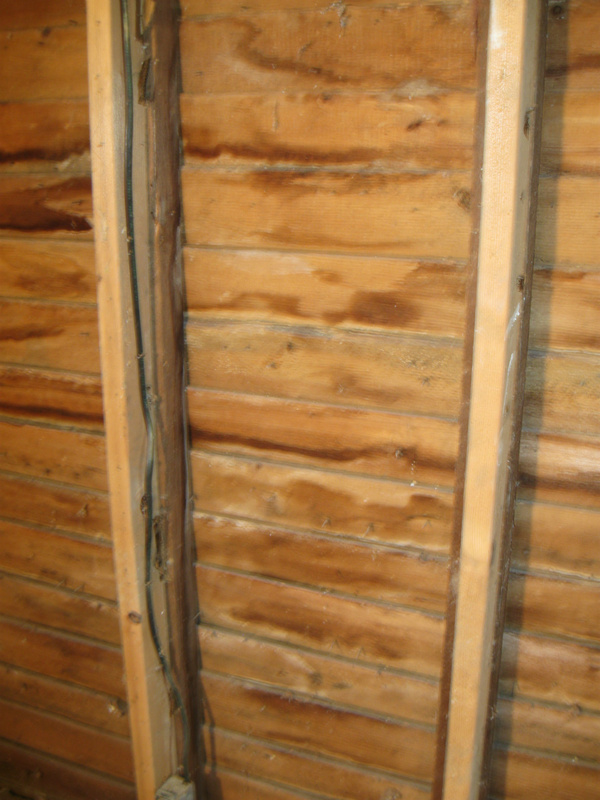 Our goal, if resources permit, is to restore the home's original siding. 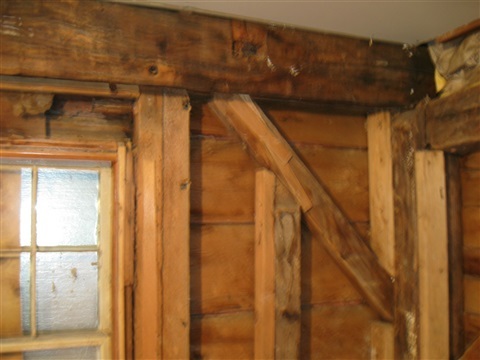 This photo shows the home's post and beam construction, now covered with insulation and vertical planking. The window spoken of in the first page narrative is the one shown here. Truly the "miracle" window. This is the original end wall found in the lean-to chapel/bedroom. 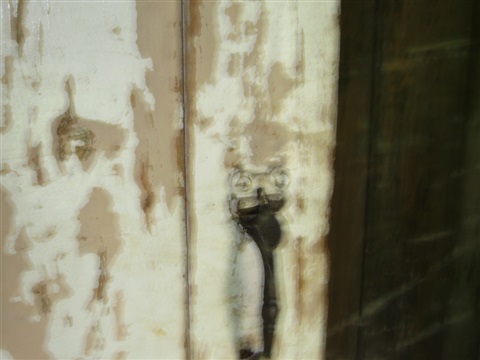 This is one of several original doors, not yet restored, that were in the home. 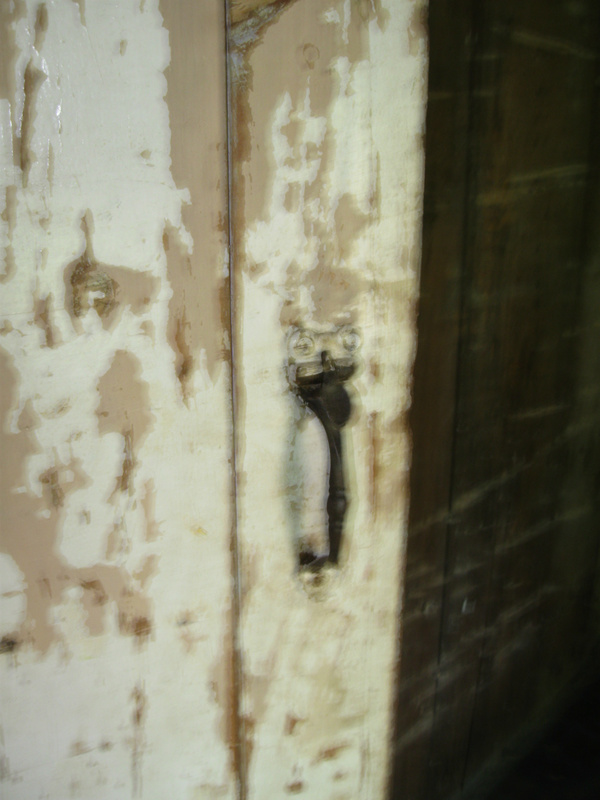 Note the original hardware on the door. Unidentified worker attending to a door hatch into the home's attic. 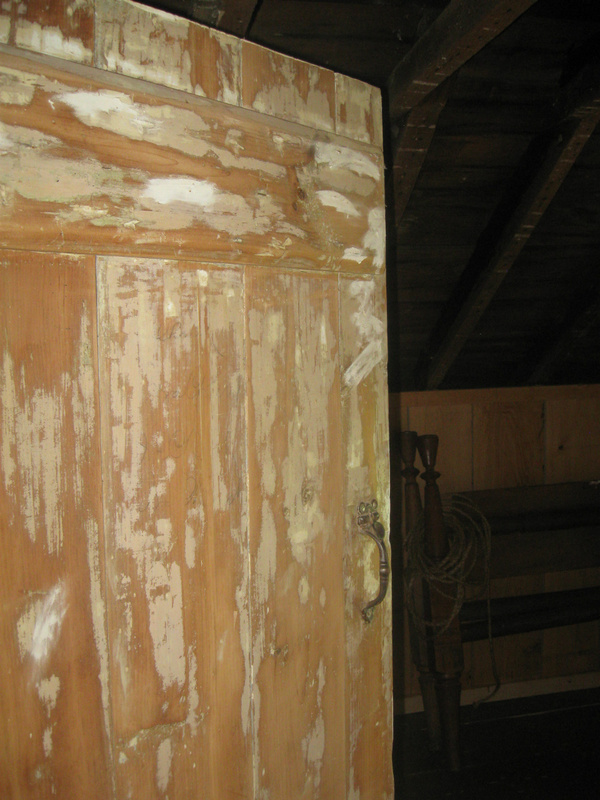 Through this door the home's original roof is visible. This door was a treasure find. 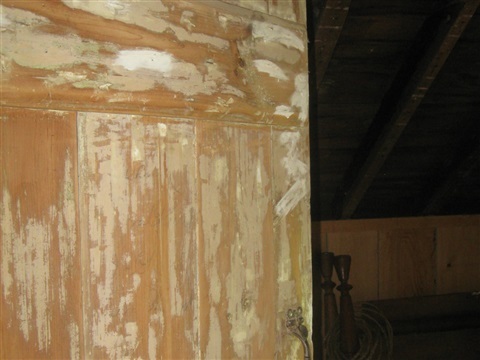 It proved to be the original front door of the home, though when rescued it was hanging in an unprotected doorway in one of the home's later additions. 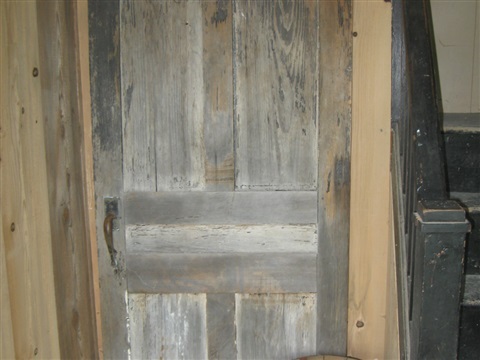 It was beautifully refinished and has been properly reinstalled as the front door of the home. 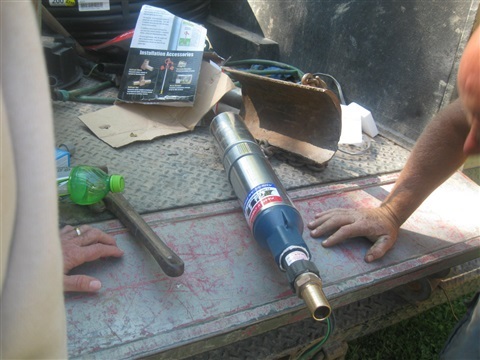 in 2013 it was decided that the original hand dug well had to be replaced. That well was a scarce 35' deep and the potable water was not safe to drink. This rig pounded (literally) 8"X10' casing into the ground. 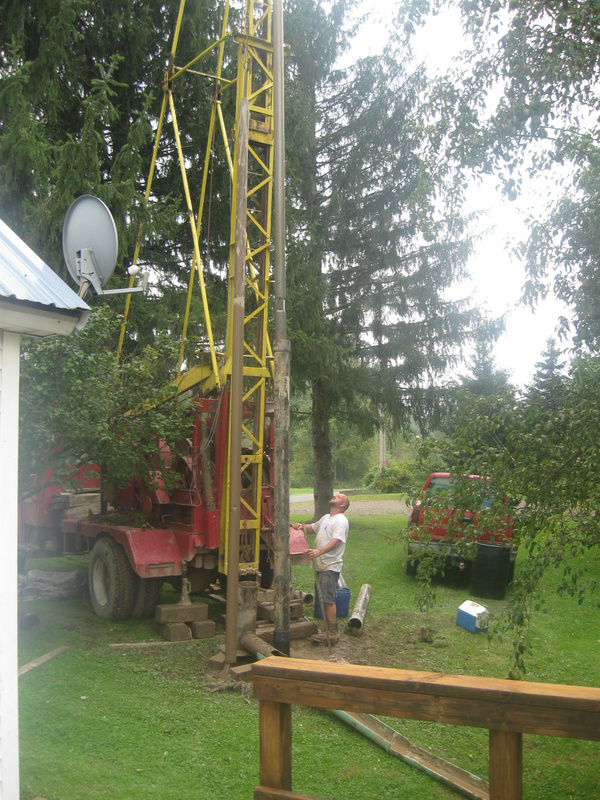 Bedrock was reached at 85' and a generous seam of potable water at 115'. 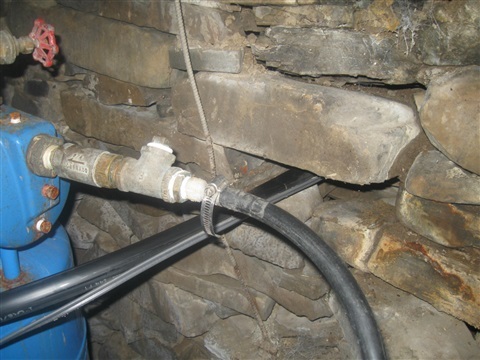 ... and a picture of the submersible water pump at the bottom of the well casing. These are pictures of a grist-mill stone and balance wheel found at a local antique shop. 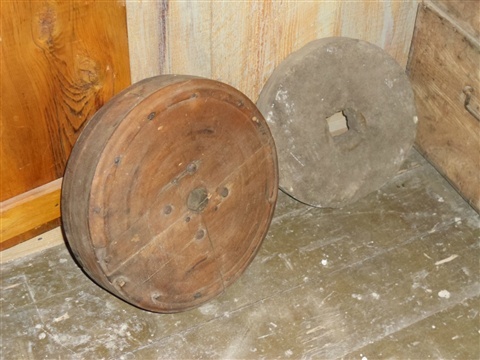 We like to think that there is a possibility that these apparatuses might actually be from the Knight grist-mill inasmuch as there were only two such mills in operation in the area at the time the Knight's were operating theirs. 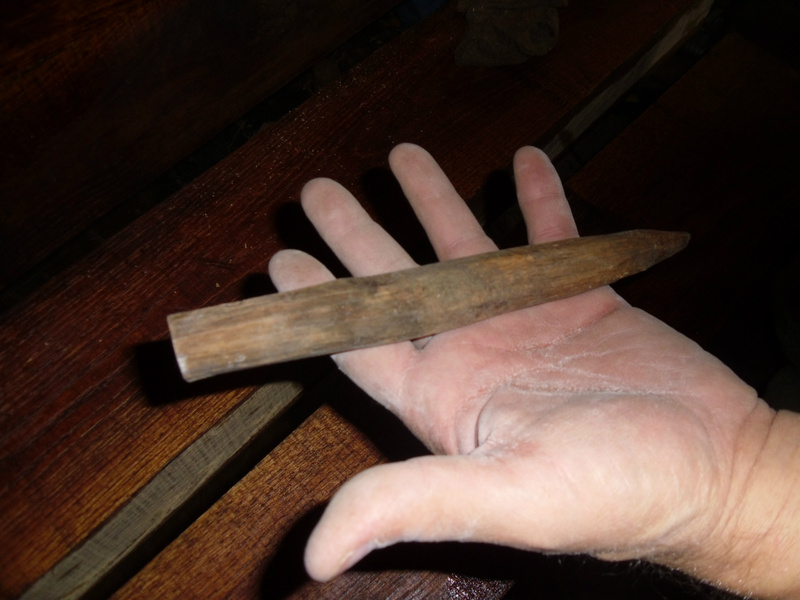 One of the dozens of pegs that hold the post and beam framework of the house together. 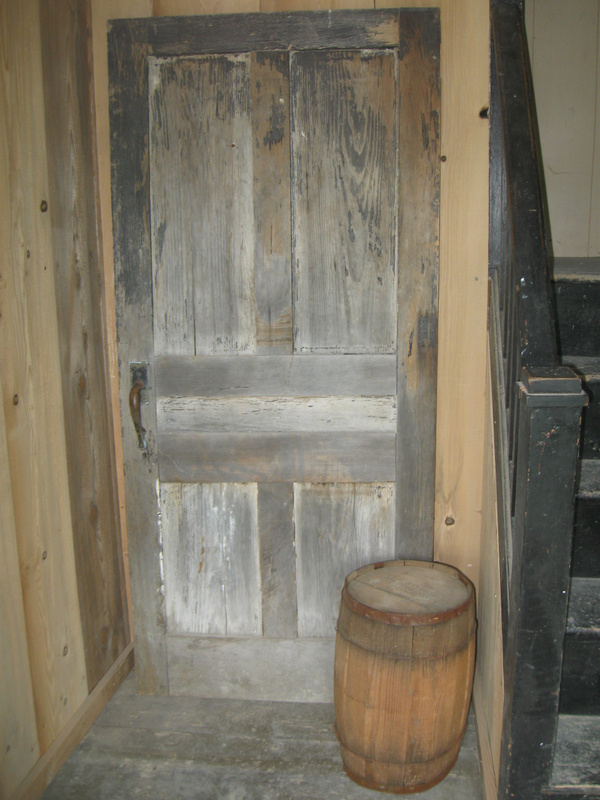 Another original door. Note the buttermilk whitewash is virtually impossible, even with power sanders, to remove. 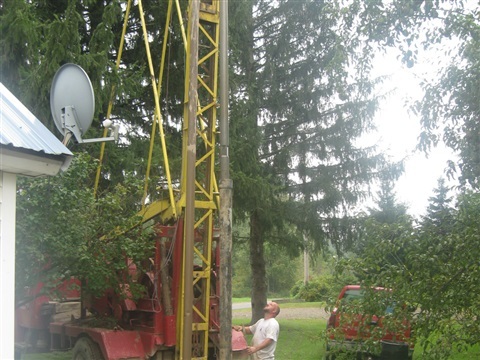 A testimony to resource availability and ingenuity of the day.